69% of brands agree that visuals are very important or absolutely necessary when it comes to their marketing strategy, but 47% of brands find it difficult to consistently produce visual content for their brands – and we don’t blame them. Continually producing great visual content can be time consuming and expensive, but it doesn’t have to be. If you find yourself constantly searching for great visual content to amplify your online marketing tactics, consider leveraging the great video content you’ve already invested in by turning your videos into GIFs. This quick, painless, and sometimes free process is easy when you use a video to GIF conversion tool. Check out the 12 video to GIF converters we’ve reviewed below to see what tool is best for you. What’s the difference between a video and a GIF? If you’re a digital marketer (or a person who uses the internet) you know how popular GIFs are. These short bursts of looping content can add life and energy to otherwise static blog posts, emails, web pages, infographics, and more. Exciting, right? While GIFs might look similar to videos, these two kinds of media are actually very different, and the differences all start when the file types are initially collected. GIFs are essentially soundless collections of images that are manipulated to look like a video. Videos, on the other hand, are collected as a rich media complete with motion and sound. More importantly, the viewing experience for these two file types is pretty different. First check out this video. Notice the seamless motion and sound that clearly classify it as a video. Next take a look at that same video turned into a GIF. Notice how the smooth video is transformed into a choppier collection of images that quickly and endlessly rotate. It’s easy to see how these two file types are different when compared side-by-side. But why would someone convert a video to a GIF in the first place? There are plenty of reasons. GIFs are affordable: When you turn a video into a GIF, you’re using existing content to create new content. Why not squeeze as much as you can from your video strategy? GIFs are easy to produce: You don’t need to be a video expert to make a GIF. When you use one of the video to GIF converters we’ve included below, creating a GIF can take as little as a few minutes. GIFs are easy to consume: GIFs add motion and excitement to a piece of digital content without requiring the viewer to invest a lot of time and attention – a big win considering the average human attention span is about 8 seconds. GIFs are effective: Dell saw a 109% increase in sales when it ran a GIF-centric marketing campaign, proving that audiences love (and respond to) this simple yet compelling media. 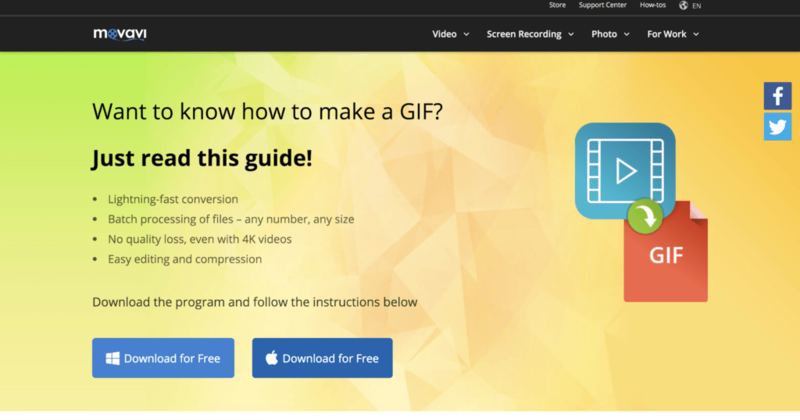 If you’re sold on the marketing power of GIFs and ready to convert your own videos into this fun file type, take a look at the 12 video to GIF converters below to find the best one for your needs. Giphy is the king of GIF sites. With more than 300 million daily users and more than 2 million GIFs served up daily, this site is to GIFs what YouTube is to video. Not only can you upload a video, but if your video is already hosted on a third-party platform like YouTube or Vimeo, you can simply paste the video link into GIF Maker to export a GIF. The tool also lets you select the length of your GIF, the frame you’d like the GIF to start at, and visual add-ons like captions, stickers, filters, and more to completely customise your GIF. 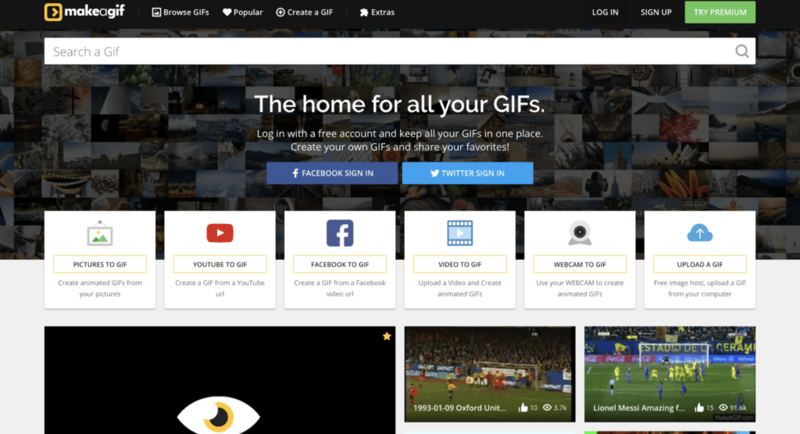 Once finalised, your GIF is hosted on Giphy for you and the rest of the world to use. Add tags to make your GIF searchable on the site, or copy-and-paste a provided link to embed your custom GIF into a social media post, web page, or other form of digital content; the tool automatically gives you multiple links depending on the file size you need. As an added bonus, you can also use this tool create a GIF out of a collection of static photos, a feature perfect for turning a slideshow into a moving visual for a post-conference blog post. 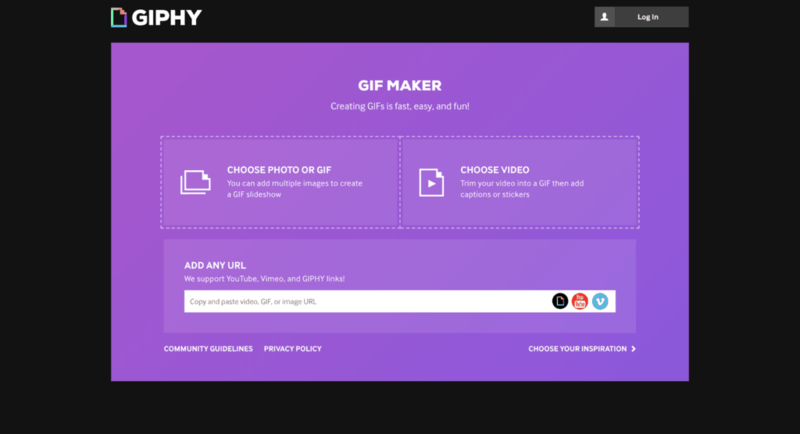 And since GIF Maker by Giphy is a website, not an app that requires a download, it’s available on all devices, making it easy to create GIFs at your desk or on the go. Filmora is made by software guru Wondershare and features a ton of video editing capabilities. While you can turn a video into a GIF, you can also use this tool to edit videos, add music, and more. If you’re looking for an all-in-one video editing tool, this might be right for you, but if you’re just looking to convert a few videos into GIFs, this tool might have more than you need – and its price tag reflects that. Filmora is available for download on Windows and Mac OS for an annual fee of $44.00 or a one-time fee of $59.99. Movavi is a long-time leader in video editing software, which makes it no surprise that their video conversion software is highly reviewed by both Mac and PC users. This tool is known for being super fast, easy to use, and reliable. One of our favourite features on this tool is the ability to batch export files, making creating dozens of GIFs easier than ever. But because of its price tag, Movavi isn’t best for one-time GIF conversions. This premium tool is available on Mac and Windows for $49.95, but you can download a free trial to experiment with Movavi before committing to a purchase. Online image sharing community Imgur is a giant in the visual media space, so it makes sense that they’d create a video to GIF converter to share with their users. This tool is a lot like Giphy’s GIF maker; simply copy and paste a video URL into the tool and select a start and stop time for your GIF. However when it comes to features, Giphy has a few distinct advantages. For example, Imgur lets you add a caption to your GIF, but without all the bells and whistles that come with Giphy’s tool; whereas Giphy lets you add colour and motion to your caption, Imgur’s captions look more like closed captions you’d see on a television show. And while Giphy gives you multiple links to GIFs optimised for different uses like social posts or web pages, Imgur gives you one single link to an MP4, meaning you might need to download and resize your GIF to make the file size small enough for social media posts. 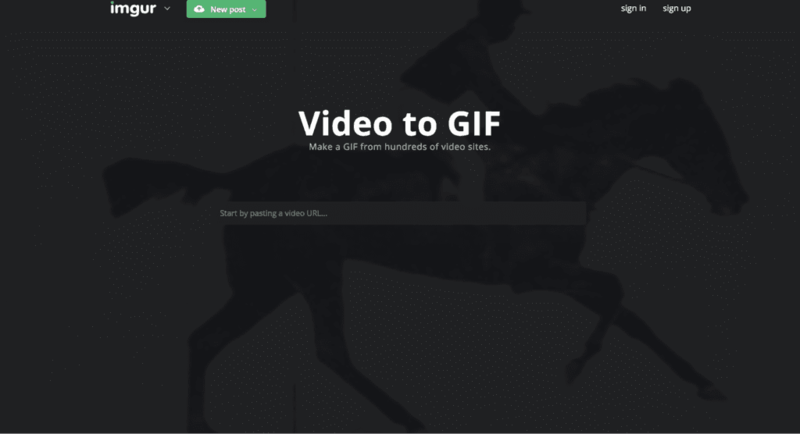 Video to GIF by Imgur is available for use on desktop and mobile platforms. Freemore Video to GIF Converter is software that lets you convert videos into animated GIFs, allowing you to select the exact frames included in the GIF while also changing the width and height of the frame in case you have a special use case. This tool is free and supports all the most popular video formats including MP4, MPEG, MOV, FLV, and dozens more. While free, however, this tool wasn’t necessarily designed to be beautiful; if you download Freemore, expect to be met with a more utilitarian design that, while highly pragmatic, isn’t super easy on the eyes. Unfortunately for Mac users out there, Freemore Video to GIF Converter is only available for download on Windows XP, Vista, 7, 8, 8.1, and 10. 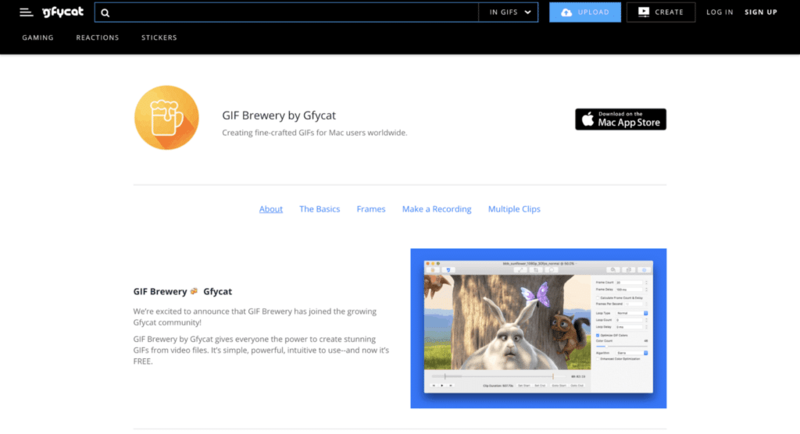 For the Mac loyalists who are looking for a simple video to GIF converter app, look no further than GIF Brewery by Gfycat. GIF Brewery allows you to start by importing a video, making a screen recording, or making a video directly from your webcam. You can then edit your GIF, resizing the video, customising the frame rate, and applying a range of filters and overlays to create a custom look. As a final step, easily save your GIF to your computer or share it via iMessage or Mail. The app has stellar ratings in the app store, and is available for free. 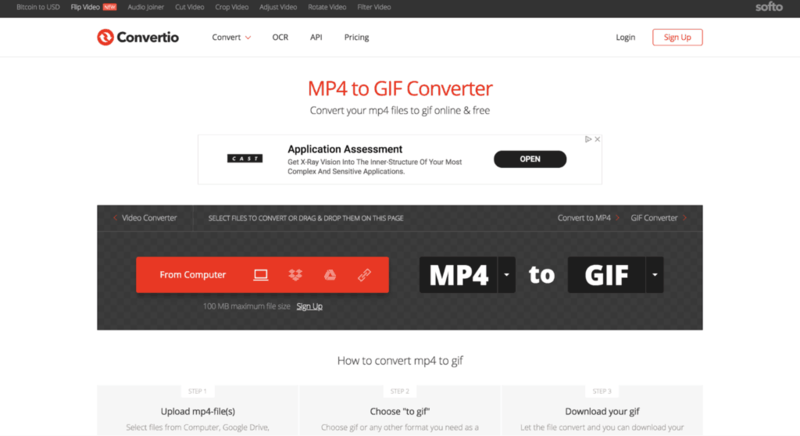 MakeAGIF isn’t just a video to GIF converter – it’s an anything to GIF converter. On this easy-to-use website, you can upload a video, record a video, past a link to a video, or even upload a collection of photos to make your own GIF. Then you can add stickers and captions, change the GIF’s speed, and select a start and stop time for a total custom output. The only downside to this video to GIF converter is that each GIF comes tagged with a MakeAGIF watermark; if you want to remove the company’s logo from your file, you’ll need to upgrade to the premium version for $11.95 per month. Convertio is one of the more straightforward tools on our list. To turn a video into a GIF, simply drag a video file onto the tool or upload one from your Google Drive or Dropbox account and hit “convert” to complete the process. But only use this tool if you don’t care about specifics. While easy to use, Convertio doesn’t let you specify the start and end of your GIF or the frame rate. Imgflip is a pretty basic video to GIF converter. Paste a link to your video into the tool, edit appropriately, and voila – out pops your GIF. The magic of Imgflip all happens at the end of the process when the tool gives you the option to download your file, copy a file link, copy image HTML code, or share your GIF on Facebook, Twitter, Pinterest, Tumblr, and other social sites. This tool boasts the most robust sharing features we’ve seen out of all the tools on our list, and since it’s all managed online rather than from remote software, it’s available to Mac and PC users alike. Ezgif lives up to its name – this tool is definitely easy to use. Upload a video and export it as a GIF and you’ve done what you set out to do in two simple steps. But if you want to customise your GIF by editing, cropping, and adding effects to your video, that’s a different story. Ezgif has features that allow you to do all those things, but in order to use them, you’ll first have to export your GIF and re-upload it into the tool – not necessarily ideal considering many of the other tools on this list allow you to edit your GIF as part of the conversion process. Ezgif is free and available for Mac and Windows users. Free Easy Video to GIF Converter allows you to upload nearly any video file type, including AVI, MPEG, FLV, MOV, WEBM, and more to edit and export a GIF. This software comes with all the basics; select your GIF’s start and end screen, frame rate, and frame size to export a file that meets your exact needs. One nice bonus that comes with this tool is its tutorials. If you’re having a hard time navigating the tool, simply watch one of its many instructional videos for instant support. 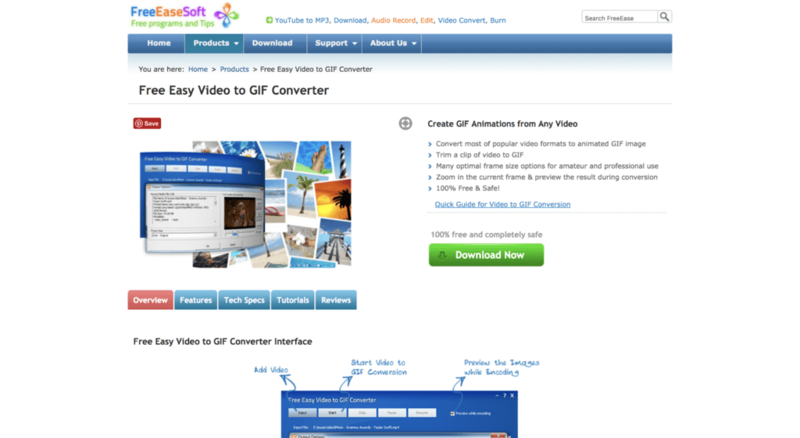 Free Easy Video to GIF Converter is available for free download on Windows Vista, 7, 8, 8.1, and 10. 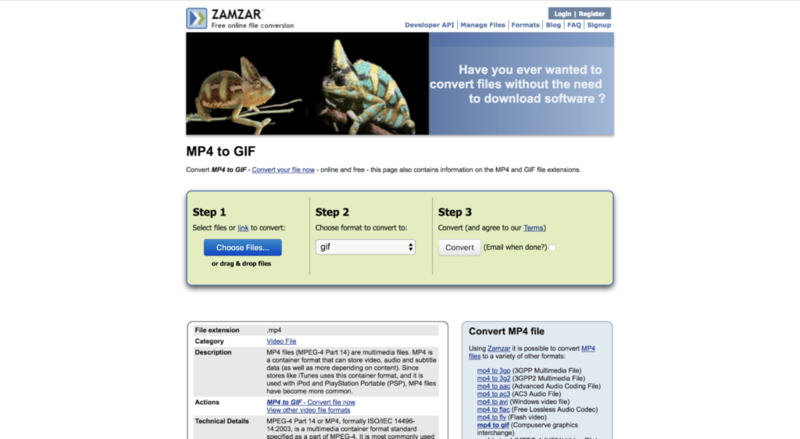 Zamzar is a video to GIF converter with a ton of other file conversions built into it. While you can convert most major video file types into GIFs, you can also use this tool to convert PDFs to Word documents, PNGs to JPGs, and more. While there aren’t any additional features like adding stickers or text to your GIF, this is a great one-stop-shop tool for all kinds of file conversions. Zamzar is free to use and available for Mac and Windows users. Each tool on this list is unique, which made it hard for us to pick a single tool that we recommend the most – but it wasn’t too hard. Our all-time favourite video to GIF converter is (not surprisingly) the king of all things GIF: Giphy. It’s so easy to use. Giphy makes GIF creation easier than any other tool on our list, allowing even the least tech-savvy people to turn a video into a GIF in 30 seconds or less. The customisation features are off the charts. GIFs are already fun, but Giphy takes them to the next level, letting you add colourful and animated text, stickers, filters and even hand-drawn images as overlays. Total customisation is just a few clicks away. It’s download-free. Why spend time downloading software when you could use those precious minutes converting your file instead? Giphy lets you skip the extra step. It’s free. Most marketers turn videos into GIFs to reuse content they’ve already invested time and money into, so why pay for another tool if you don’t have to? Congratulations! 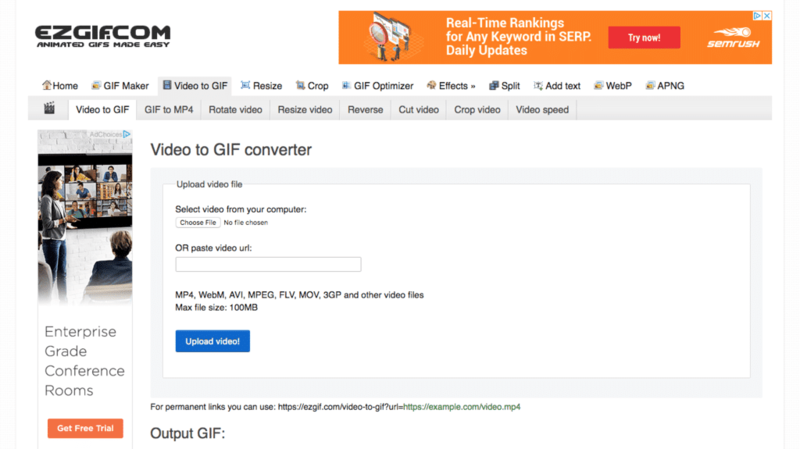 You’re now a video-to-GIF master equipped with a full box of conversion tools. We’ve also covered the best GIF to video converters. Want to edit your videos rather than convert them? No problem. We have an article that takes you through the best video editing apps for Android, iPhone and iPad.